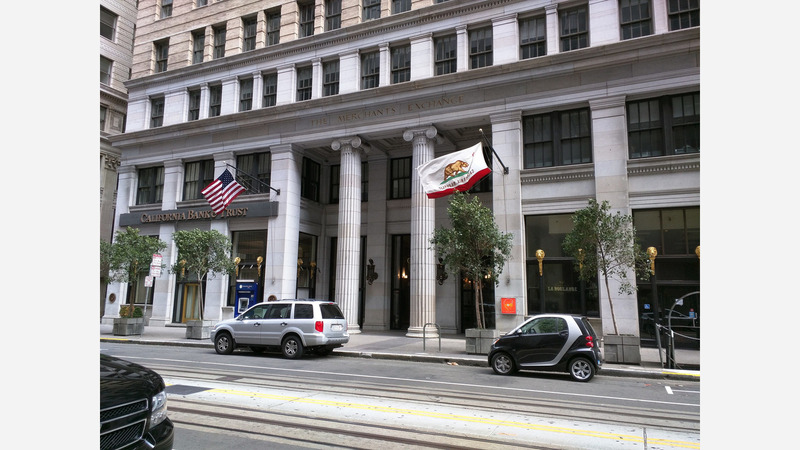 Growing Southern California-based sandwich and salad chain Mendocino Farms is almost ready to debut its first San Francisco location, in the historic Merchants Exchange building at 465 California Street in the FiDi. A representative for the company says it's aiming to open the doors by August 9. 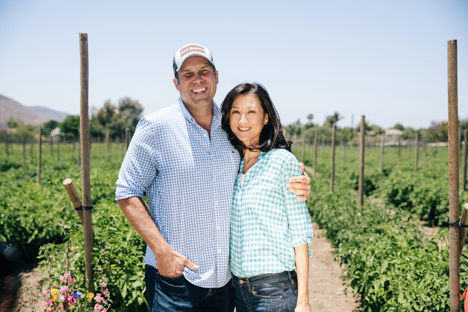 Mendocino Farms, which has 20 locations around the state, was founded in 2005 by the husband-and-wife team of Mario Del Pero and Ellen Chen. It's also received backing from Whole Foods Market and TPG Growth. The forthcoming FiDi location will be the largest in Mendocino Farms' family of restaurants, with 5,882 square feet of space and a second kitchen specifically for catering and third-party delivery orders. While this will be its first outing in San Francisco, Mendocino Farms already has three Bay Area locations in San Jose, Campbell and San Mateo. New outposts in San Ramon and Palo Alto are also in the works. Though the restaurant got its start in the southern part of the state, Del Pero and Chen are both Northern California natives. "We got much of our early food inspiration from places like Tartine, Bakesale Betty and the original Oakville Grocery," said Chen in a statement. 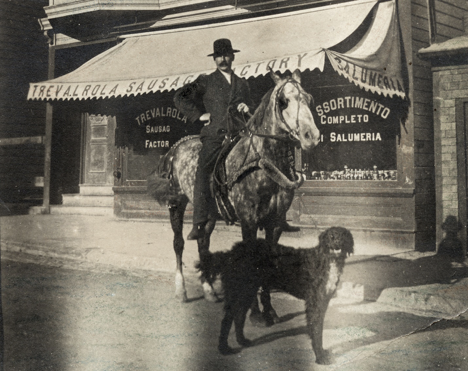 Del Pero has familial ties to the new San Francisco location as well: "Our new location at the iconic Merchants Exchange building is only a few blocks from my great-grandfather's butcher shop on Pearl Street, which he operated at the turn of the century," he said in a statement. At the new location, diners can expect to see signature sandwiches and salads like the "Not So Fried" Mary's chicken sandwich, a pork belly banh mi, and an avocado and quinoa superfood ensalada, as well as a few special menu items unique to this location. In a first for the company, the new location will also serve breakfast items and offer a grab-and-go case stocked with an assortment of salads. It will also be the first Mendocino Farms to serve coffee from Santa Cruz-based Verve Coffee Roasters. As for seating, expect to see communal tables and banquettes, in addition to an outdoor patio. 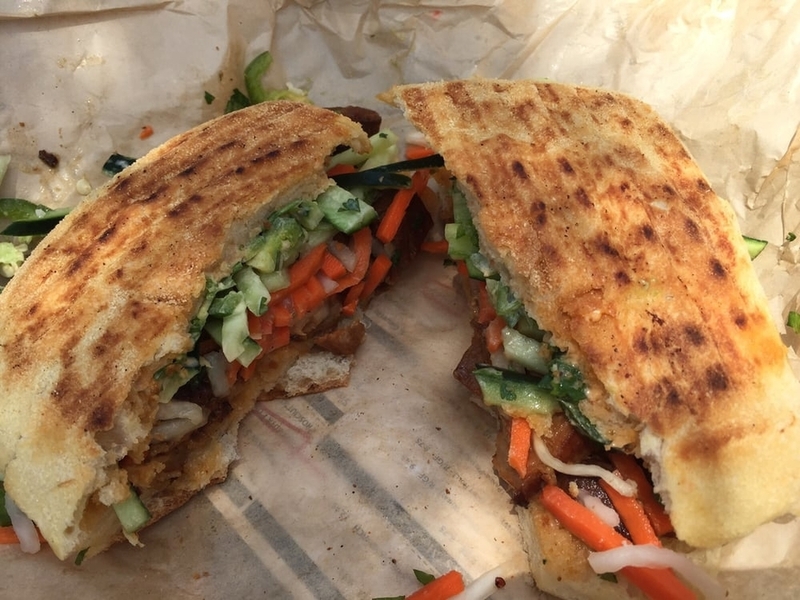 Beginning August 9, Mendocino Farms will be open weekdays from 11 a.m. - 7 p.m. It eventually plans to open its doors earlier in the day, once its breakfast program is up and running.